Safety Door The safety door on this autoclave automatically seals when pressurized and will not allow the operator to open the door until the chamber is safely depressurized. Temperature Regulator The temperature regulator allows the operator to preset the temperature at a desired setting between 250º F (121º C) and 270º F (132º C). This control, acting as a thermostat, cycles the heating element on and off. Temperature Gauge The temperature gauge indicates the temperature inside the chamber. The gauge is graduated in two-degree increments from 80º F (26.7º C) to 270º F (132º C).
. 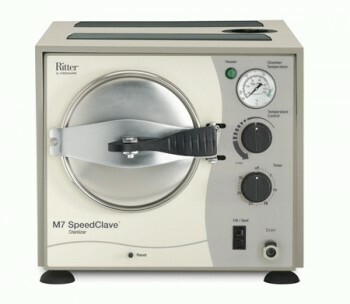 The M7 autoclave will operate only when there is enough water present, which prolongs the life of the heating element. A pilot light is on when the heater is on and cycles on and off during normal operation. Cycle Timer The cycle timer regulates sterilization time from 0 to 30 minutes and automatically turns the M7 off when the sterilization cycle is complete. 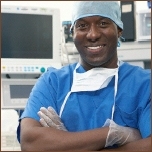 This prevents over-sterilization thus extending the service life of your instruments.